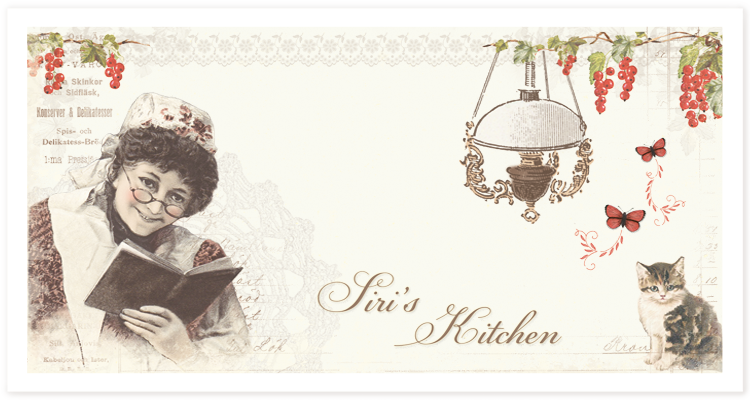 Siri was the name of a beloved relative, and the paper collection Siri’s Kitchen is our attempt to capture the essence of her home and kitchen. The aim was for a paper collection that embraced the feeling of Siri’s warm heart and home, and even though they focus on her kitchen, the papers are perfect for so many different occasions. Today we want to invite you to some Christmas inspiration together with Siri. Our fabulous Design Team has made a variety of different Christmas projects using the Siri’s Kitchen collection, and we have decided to share them with you here on the blog today!